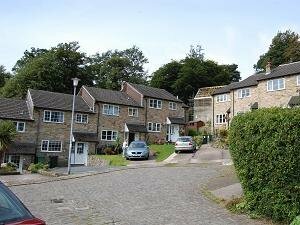 A small cul de sac of semi-detached and terraced stone built properties from the early 1980s. The roadway is paved with setts. Medium sized gardens front and rear. Most have several steps up or down to the front doors. Approach off Shrigley Road via Beeston Mount. Nearest pubs – Cotton Tree, The Turners, Church House, Poacher’s.